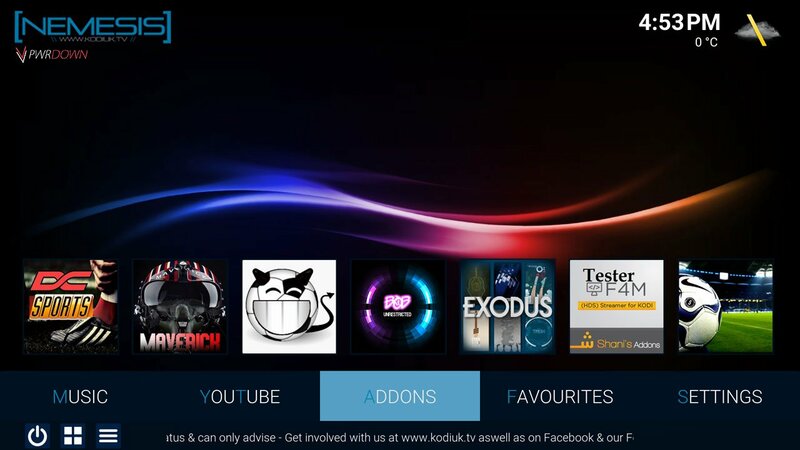 Nemesis Build is one of the KODIUKTV Builds, and is the most popular. 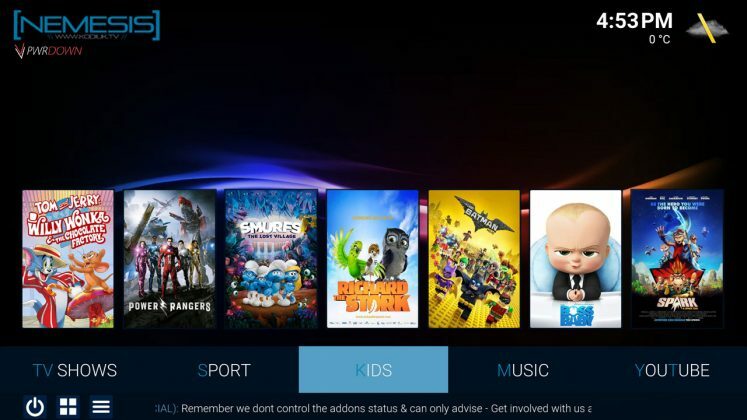 In this post, we’ll show you how to install it using the Ares Wizard. 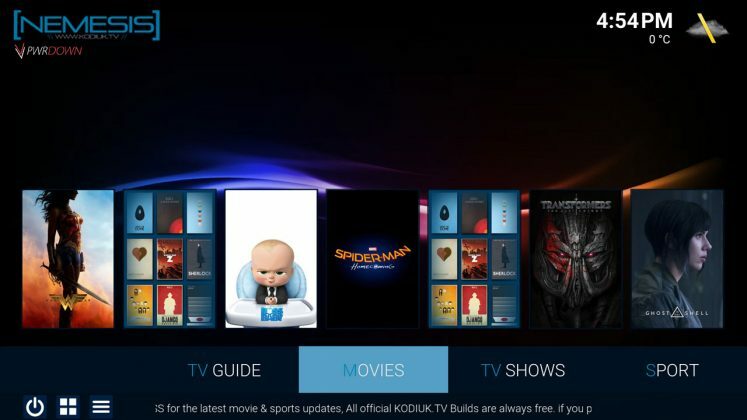 The Nemesis Build uses the Titan Skin, which I havn’t noticed very much with other Kodi builds. 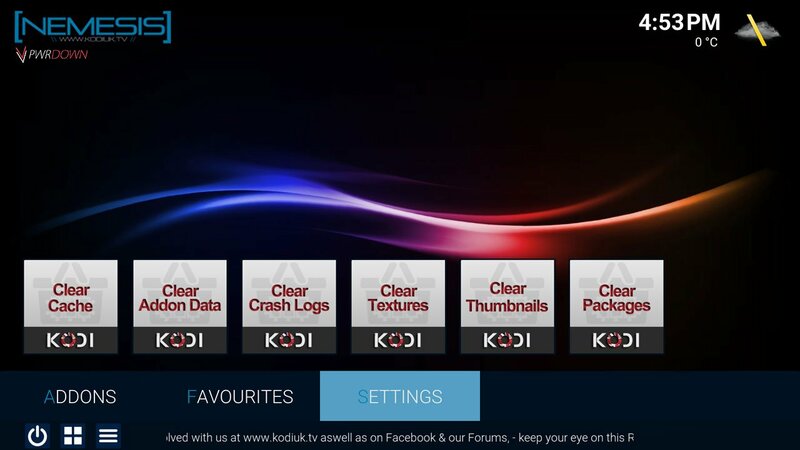 It looks sleek, minimal and is super easy to navigate. 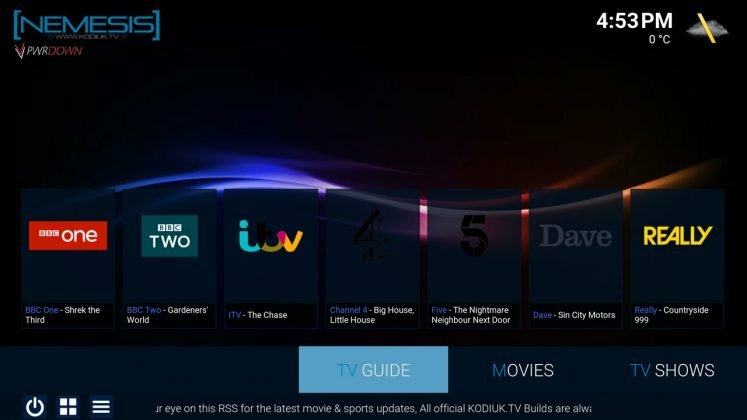 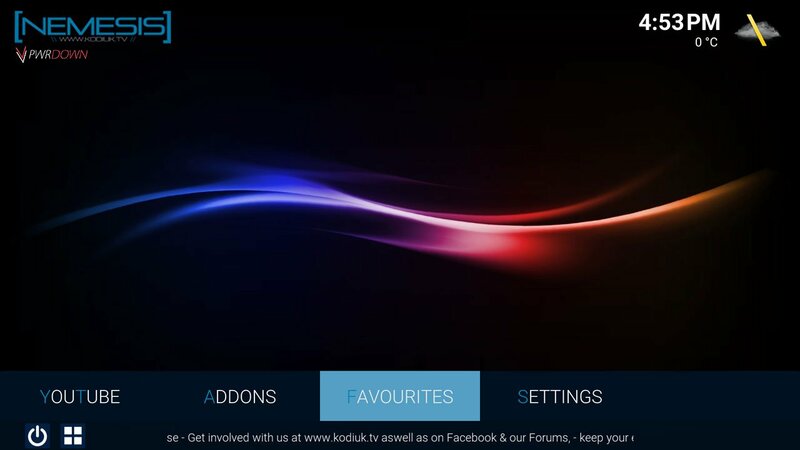 This build also makes use of Kodi’s spotlight feature, providing you direct access to content on the home screen. 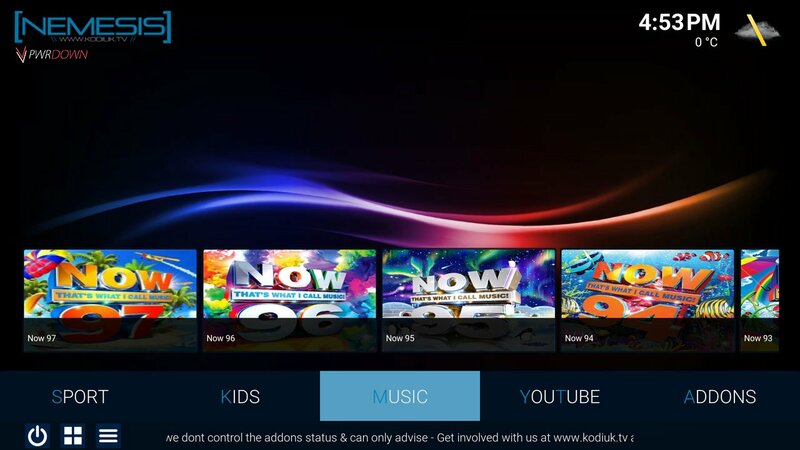 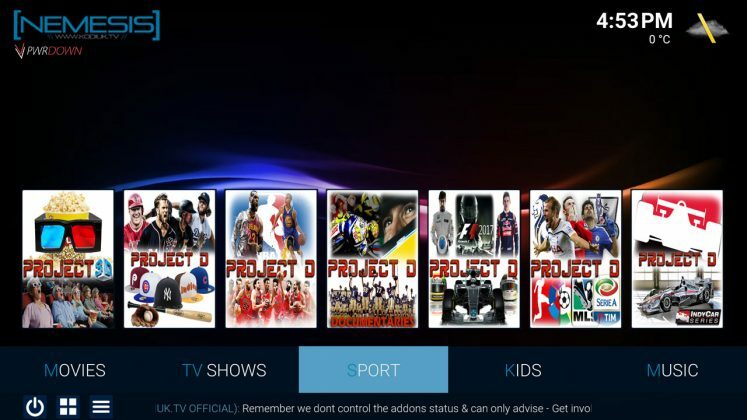 Nemesis has categories for add-ons, favourites, kids, movies, music, settings, sport, tv shows, tv guide and YouTube. 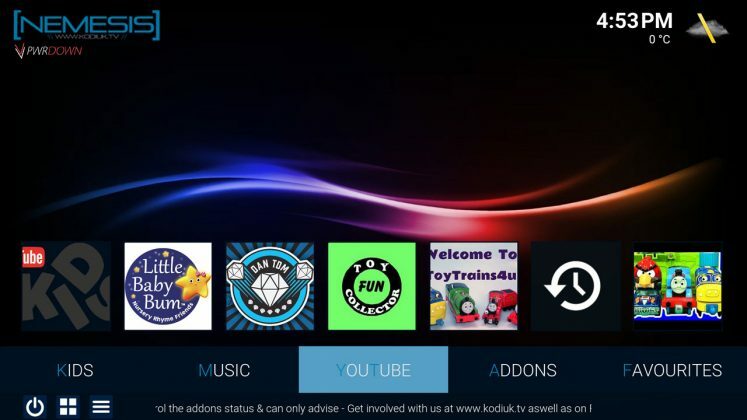 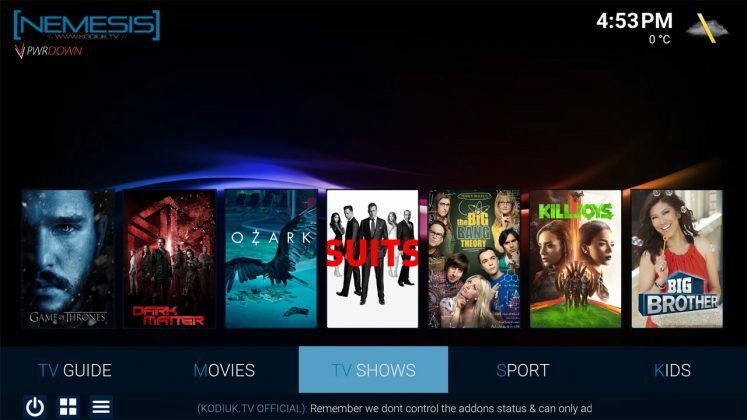 Some of the add-ons in the Kodi Nemesis Build include WolfPack, Bob, Elysium and Exodus.